The final race in SLOW’s 2014-15 Street-O series is on Tuesday 12 May 2015 in Twickenham. This event will use electronic timing for the start and finish – please bring your SI card if you have one. The race will be based at The Fox, 39 Church Street, Twickenham, TW1 3NR. The pub has a great range of beers and serves food – including particularly good pies! – until 10pm, so there is no excuse not to stay around to discuss the race afterwards! The easiest way to get to the race from central London is take a train from Waterloo or Clapham Common to Twickenham, with a short walk to the pub. Fast trains take less than 25 minutes from Waterloo; other trains can be much slower, so take care! 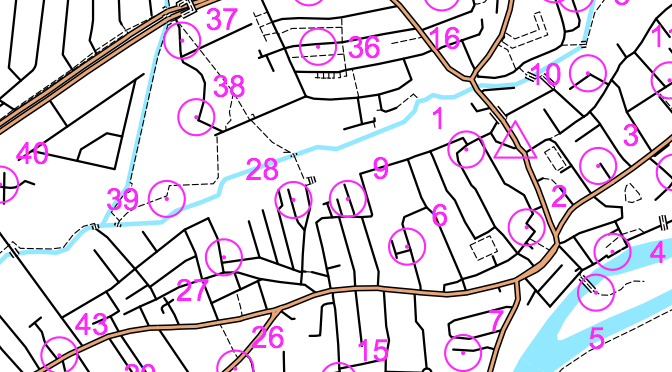 The Street-O format has clues located at various points on a map (for Twickenham this will be 1:12,500 scale). You have 60 minutes to visit as many of these as possible, in any order, and return to the finish. This guide provides general information about street orienteering.